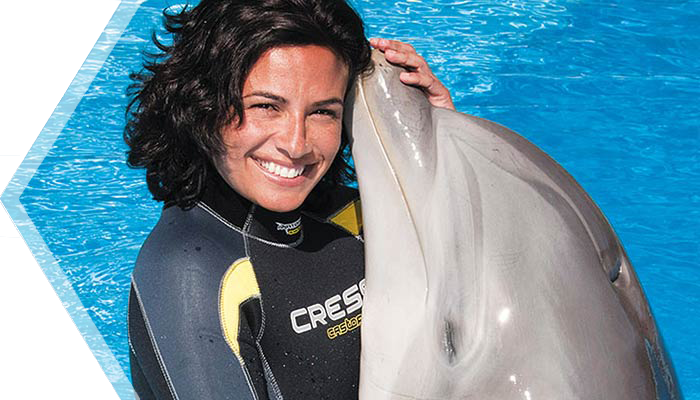 Thanks to our educational program “Dolphin encounters” you can make your dreams come true and share wonderful and emotive moments with these beautiful animals. Every session of our program is limited to a maximum of 16 participants so you can make the most of this opportunity. At the end of the activity you can purchase the pictures which will be taken of your encounter, so you can keep a little souvenir of this unforgettable adventure. 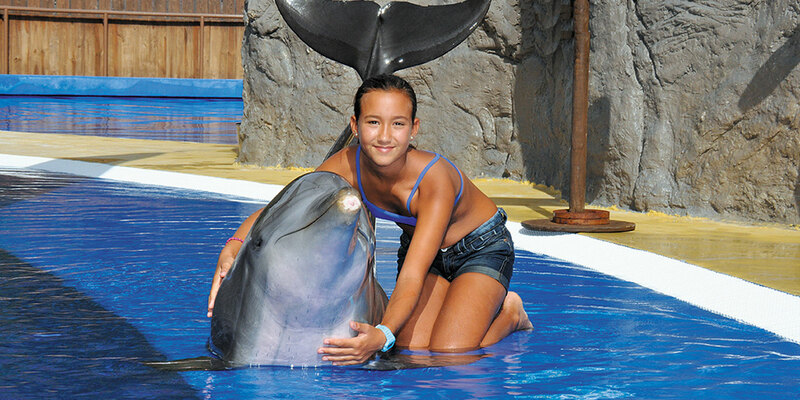 You will be able to enjoy more than 30 minutes with our lovely dolphins, in addition, you will learn about their anatomy, biology and habits in an active, fun and interactive way. 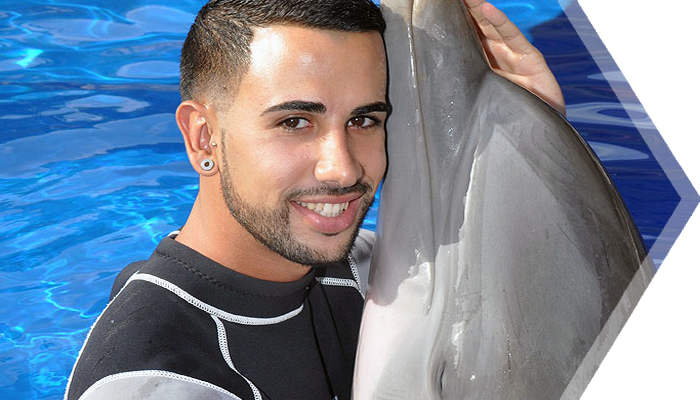 You will always be accompanied by one of our trainers who will answer all the questions you may have about these incredible animals. 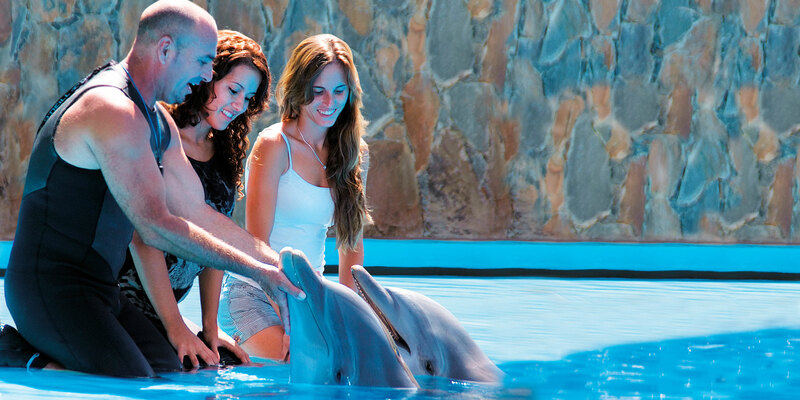 During the event you will participate alongside the dolphins in a variety of different exercises which will permit you to have a complete and exciting experience. *Bookings are made once you’re in the park, and are subject to availability. (In order to guarantee your place it is recommended to make your reservation at 10.00am). Credit Cards are accepted.